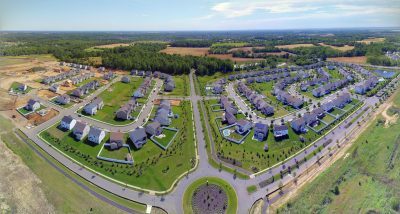 Weatherby Planned Unit Development, Woolwich Township, Gloucester County, New Jersey – CES is proud to be a part of this Planned Unit Development and designer of several of the sub-projects located in the Weatherby Development in Woolwich Township. This exciting mixed-use project calls for over 4,000 residential units, including a mix of single-family lots, age-restricted lots, town homes, condominiums, commercial and office sites, and sites for schools, recreation, and a municipal building. 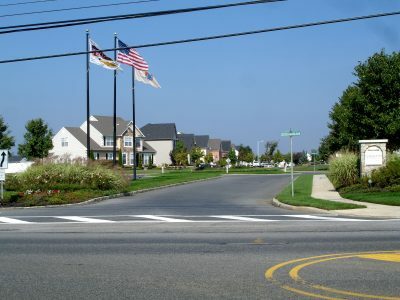 After completing wetlands mapping, NJDEP submissions, and surveying much of the site, CES provided design and permitting services for several sub-projects such as the Lexington Hill single- family homes project, a CVS pharmacy, numerous traffic reports, and county road widening projects, including design of a traffic signal. Current designs include the Chancellor Development Commercial Center and a major portion of the remaining single-family lots, town homes, and an Orleans condominium site behind the CVS.